ZVISHAVANE – Wellington Zhova (19) died on December 25, 2018 after drowning in the just reopened Zvishavane Municipal Council swimming pool. Angry parents said it took three hours for the body to be retrieved from the pool and the deceased becomes the sixth to die in the pool since it was commissioned in 1956. 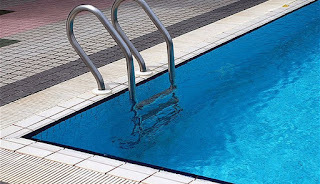 Town secretary Tinoda Mukutu said that the local authority is renting out the pool to Kelvin Gondowe and expressed shock that the latter reopened the pool without renovating it and meeting the required standards. The deceased is said to have died within 10 minutes of entering the pool. The Mirror however, is reliably told that there was an official party for the reopening of the pool. The deceased’s mother Lorraine Muchanhaire said Gondowe bought the coffin and food. She said she was angry with the town council for allowing an unlicensed swimming pool to operate. “I was there for three hours as no one came to retrieve his body. I reported the matter to the Police but there is no action taken yet. The District Administrator Rodwell Mtetwa expressed shock and said he never received such a report,” said Muchinhaire. She said that she wanted justice for her son.